UPAT launched a high-quality, simple-to-use, and cost-effective power-tool brand which has been added to the UPAT stable in the form of AEG POWERTOOLS. This is the first time that Upat has a dedicated power tool brand for the retail and reseller markets. UPAT identified a gap in the market for a high-quality, simple-to-use, and cost-effective power-tool brand and tasked NGAGE with its launch. 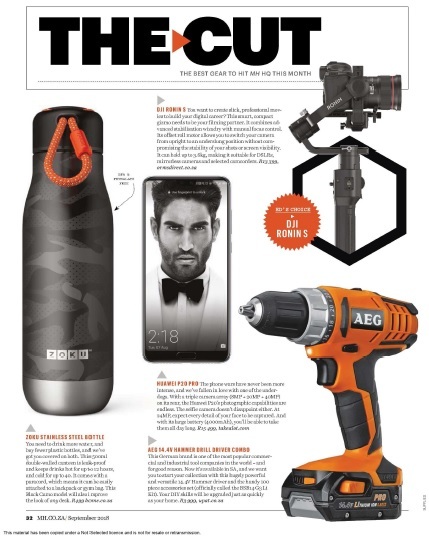 NGAGE hosted a media day on the 26th of July 2018, from the media day we managed to receive high-level coverage from highly acclaimed publication Men’s Health. We got a R114 022.15 worth of coverage. Check the feature here.